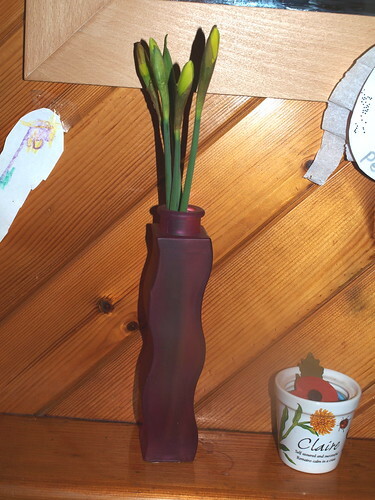 We have lots of daffodils in the house and garden and we’re wondering if they will have flowered by Marsh 1st? Our snowdrops are starting to die off now though. The circle of life. We all had long overdue haircuts today…so the girls can see again and I can manage to get the brush through my “thinned” hair a bit easier!